TWO DAYS ONLY – get 10% OFF OF ALL STAMP SETS & KITS in the Annual Catalog! TODAY is SUNDAY which means THE BEGINNING of the second ONLINE EXTRAVAGANZA SALE! 10% OFF of ALL STAMP SETS plus KITS featured in the Annual Catalog! USE MY HOST CODE – SBBJHYAC – ON YOUR ORDERS OF *$50+ AND YOU GET TO CHOOSE ONE FREE EMBOSSING FOLDER AND GET A FREE PACK OF STAMPIN DIMENSIONALS TOO! 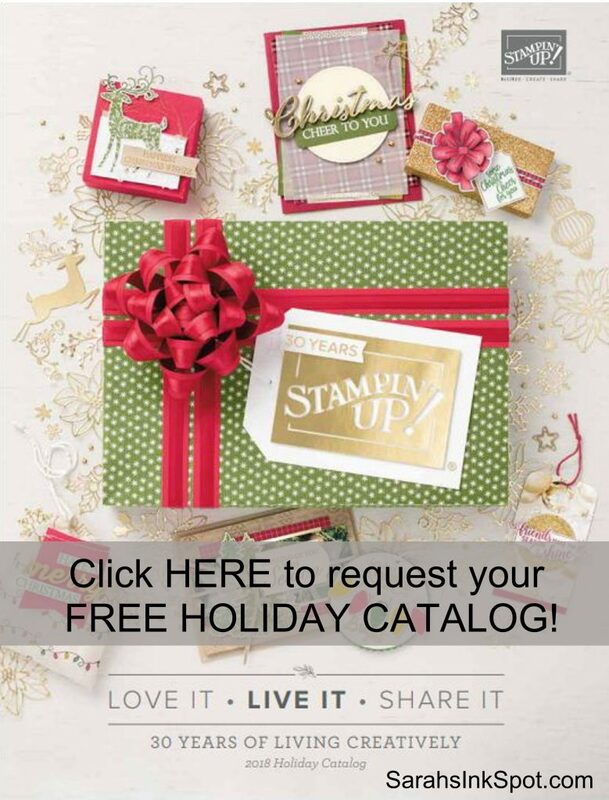 Spend *$50+ in my online store, use my Host Code – SBBJHYAC – and you will get to choose ONE FREE EMBOSSING FOLDER and get ONE FREE PACK OF STAMPIN DIMENSIONALS = TWO FABULOUS FREEBIES as my ‘Thankful for You’ gift! COME BACK FOR DETAILS OF THE SECOND 48 HOUR SALE WHICH WILL GIVE YOU 10% OFF OF INKS & TOOLS ALONG WITH MY NEXT EXCLUSIVE BONUS FREE HOST CODE GIFT ON TUESDAY MORNING – HAPPY BARGAIN HUNTING! ← TWO DAYS ONLY – GET 10% OFF of PAPER & EMBELLISHMENTS featured in the Annual Catalog!